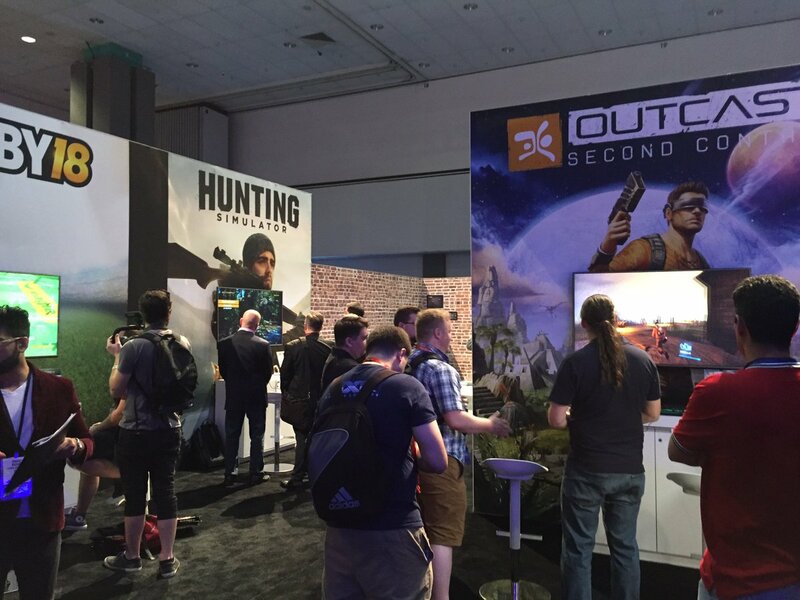 By the time you are reading this, the E3 convention of 2017 is almost over ( awhh 🙁 ). 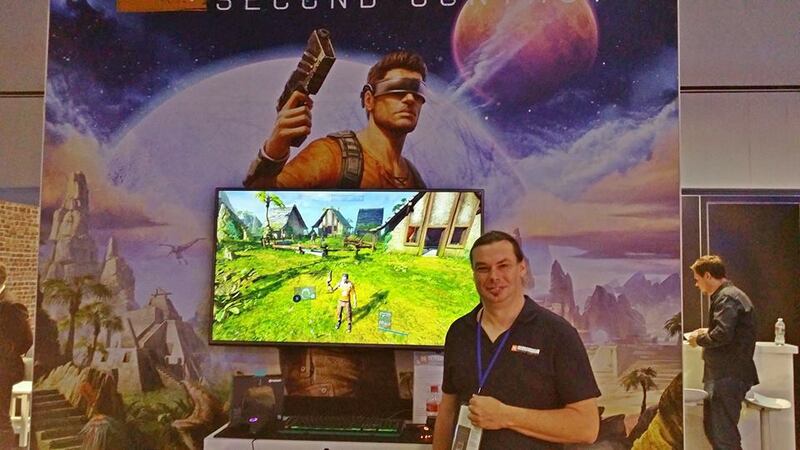 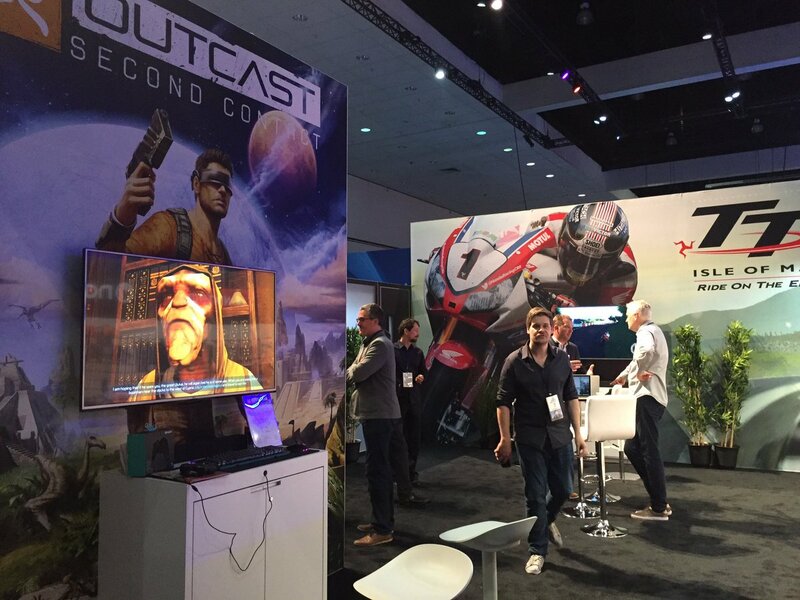 Game Director, Yves Grolet, traveled to Los Angeles to present Outcast – Second Contact and give interviews to the fans. 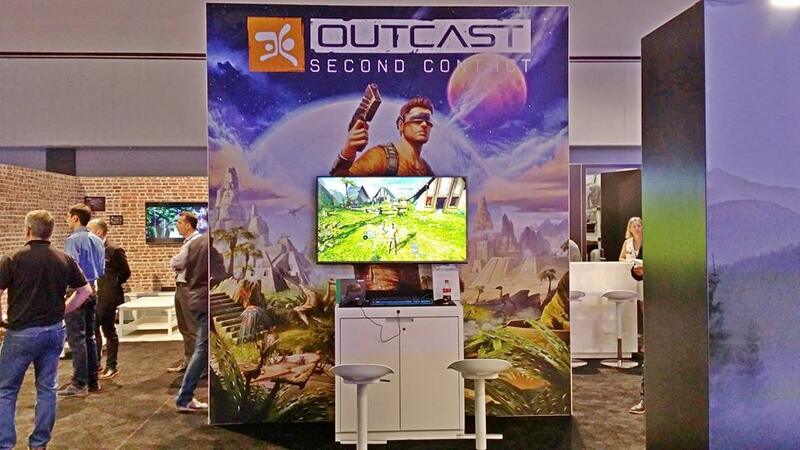 Below you can see a couple of pictures of their E3 booth and presentation.